Board the ship and set your sails because NetEnt is sending you to an adventure through history! That’s right – the popular TV show Vikings by the History Channel is turning into an online slots game for everyone to enjoy. NetEnt has presented us with quite a few surprises lately and this is just one of them. This game stands out from some of the other of their recent and upcoming works. So, let’s dig right in and analyze the game in this Vikings slot review. Vikings is a brand-new, unique online slot with 5-reels and 3-rows, along with 243 betways. However, it doesn’t end at 5×3 and 243 betways – the bonus packs a whole 7×5 setup with 78125 betways. Furthermore, the game packs ten different symbols – 5-basic and 5-premium, alongside four different features. The game follows the thematic of the original TV show, featuring characters from the show as well as the general dark setting – but we’ll get to that in the design part of the review. It will be available at all good NetEnt casinos. As usual with NetEnt slots, the game has a bet range from €0.20 to €200. Also, Vikings slot has a theoretical RTP of 96.05% as shown in the technical guidelines of the game. All in all, it falls into the low to medium volatility range, as is with most other NetEnt slots. Perhaps this does not sound too overly exciting but it’s the variety of features that stand out the most in this game. In the long run, it’s the features that define the potential in the Vikings slot. NetEnt has never really been too keen on differentiating the volatility in slots. But this game is an excellent example of how much effort they genuinely are putting into making the games stand out somehow. First of all, in the base game, we see that there’s a highlighted reel in the very middle of the screen. That’s the Hotspot Feature. The way the Hotspot works is that whenever a fully stacked reel lands in the 3rd, highlighted reel, all other Viking symbols anywhere else in the reels into the landed Viking symbol. This can bring about a decent number of wins at varied times in the base game. Moving on, Vikings slot also features a mystery symbol feature – Shield Wall Feature. The Shield Wall appears in clusters at any position across any number of tiles on the screen. Once they do, they reveal a single random symbol. 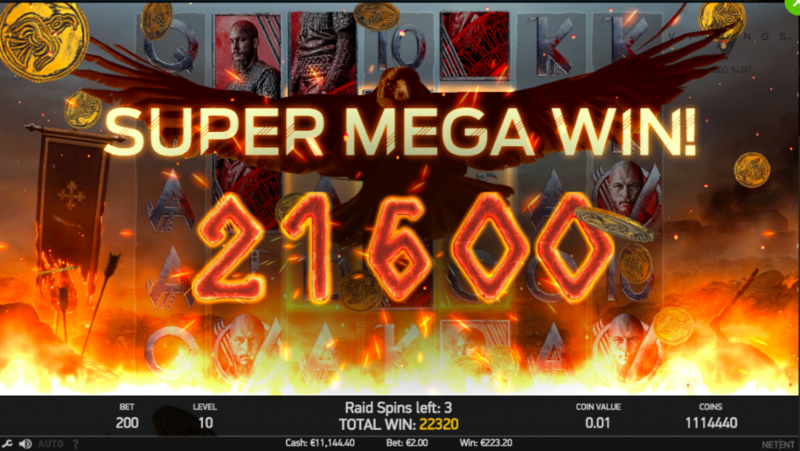 This feature is quite common across online slots and is fairly average. But the real action goes down in the bonus game. 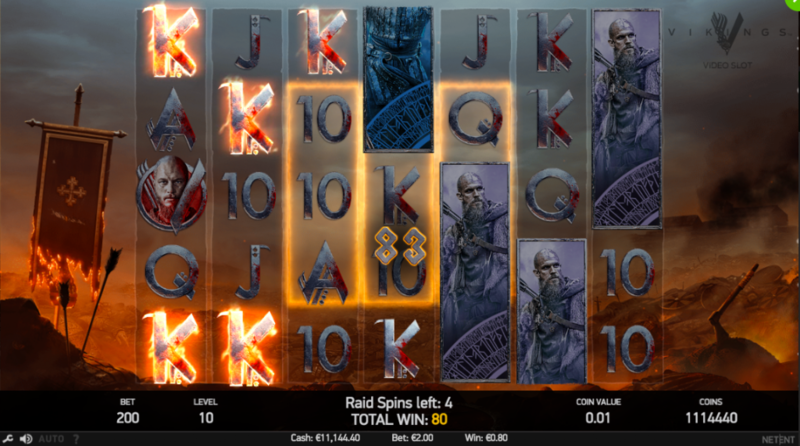 Once receive three or more scatter symbols that appear on real 3, 4 and 5, the game enters the bonus or the Raid Spins. The screen is then turned from a 3×5 to a 7×5, opening room for more symbols and even more potential. In addition to the expansion of the reels, the Hotspot expands in like manner. Instead of just one Hotspot as it is in the base game, the bonus game reveals three total Hotspot reels. This is a very powerful way to get some serious wins. Even without a single Hotspot trigger, the mere expansion and the room for additional symbols can bring about some tremendous wins. Given that this is an industrious project in collaboration with a prominent TV production, the design for the had to meet high expectations. Low and behold – it actually does. This slot is one of the best looking slots this year. The intro screen sets the mood and immerses the player into the historical experience. The colors, dominant in dark and pale, set in a peculiar vibe that genuinely draws you into a Middle Age-period experience. In addition to the overall visual setup, the sound design is exceptional. Every bit of sound effects are in the right place and hit the bulls-eye in the general theme of the game. 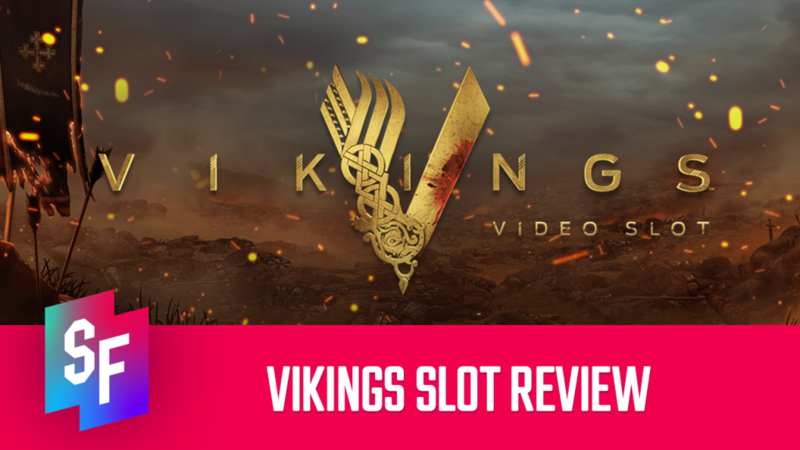 Vikings Slot Review Conclusion: A New Conquest By NetEnt? 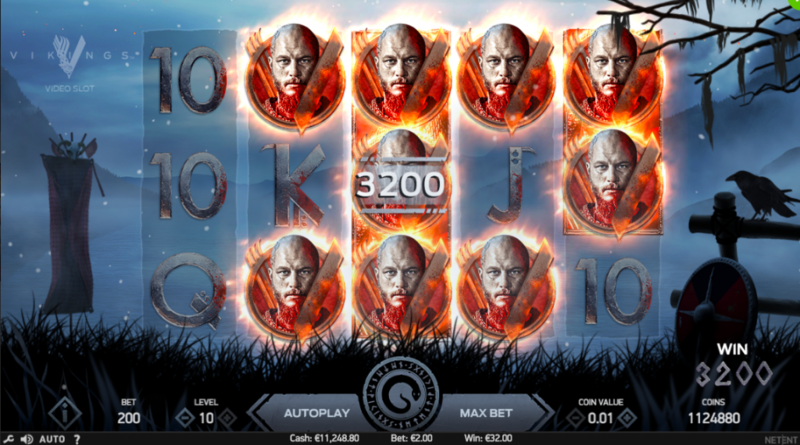 All things considered, Vikings slot is one of the best releases by NetEnt as of late. Not sure if it was the general demand as a result of the collaboration or whether they really want to make something good out of it. The bonus game in general packs some of the more original ideas that NetEnt has implemented compared to their past releases. Not only is it original, but the overall quality of the game is remarkable. NetEnt has really put their foot into this one. So, get ready to bear arms and get ready to try this game at any NetEnt online casino when it releases.